Delbert and Sandy Groves are United Methodist missionaries of the General Board of Global Ministries based in Kitwe, Zambia. They previously served in the Southern Congo Annual Conference in the Democratic Republic of Congo (D.R.C.) until political unrest necessitated their relocation to the neighboring country of Zambia. Delbert’s responsibilities in the D.R.C. included the development of Uzima Mupya, a United Methodist publishing and printing facility, and training local residents in printing and translating materials. He also helped with construction of medical clinics and new churches, and worked with pastors in evangelism and church development. In Zambia he continues these ministries. Delbert also coordinates the assembly and distribution of P.E.T.s (Personal Energy Transports) in southern Africa. Delbert grew up in St. Croix, Virgin Islands as the son of missionary parents – the Rev. Charles and Beulah Groves who served with the Wesleyan Church in church planting and printing. 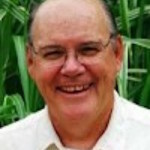 Delbert has worked with all aspects of publishing and printing since the age of 13 and completed his public school education in Florida. The Groves have four sons: James and Nicholas, who are both married and living in Orlando, FL; Seth and Nathan, who are living with them in Zambia, where Sandy home-schools them. Delbert and Sandy are members of the Florida Annual Conference.